There is a connection between the soil beneath our feet and the possibility it can help stop depression. This sounds too far-fetched, could it possibly be real that the soil can help to eradicate depression? There is some evidence to suggest there is a connection between a soil microbe, which could help to release the serotonin in the brain, making us feel happy and less likely to suffer from depression and other similar illnesses. There is information that a person who is suffering from depression can help himself or herself by the food they choose to eat. The high processed food, which contains a lot of sugar and calories, is addictive; they are easy to eat and to get. Many people, who get depressed, do turn to the convenience foods and they become stuck in a vicious circle of torture, one that can and does push them towards being overweight and unable to break the cycle, which makes them feel worse. I know this from my own experience; you can become locked in the battle between having convenience food and wanting to break the cycle. We all know that we should eat the fruits and vegetables because they are better for us, but what if there is more to this for depressed people. The increasing levels of the soil microbe will pass from the food that we eat into our bodies and make it release the hormone, which we need to feel good about ourselves. 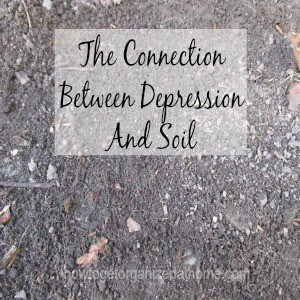 If there is a link between soil and depression and we need to have that connection for those good feelings to spread in our bodies, then this is positive. It might be connected with the winter blues, when we aren’t outside digging in the garden or just walking in the countryside. If this microbe is able to get into our bodies by digging in the dirt or just walking on the ground, it should give us more inclination to get outside into that fresh air and to take those positive steps, which could help us feel better. Being able to manage the condition that can trap us inside our homes and try to prevent us from getting the access to those microbes, which could help our bodies to feel good, is a positive step in the right direction. I know that I have to get outside every day, no matter the weather, to get some exercise and some fresh air; however, I never thought that the ground that I walk on might be trying to make me feel good too. I have been considerate to the planet which we live on, the benefit it can give us, by supporting our life through the environment that it provides and now learning how it wants to help me and the way I feel is even more precious. Knowing this information has provided me with even more inspiration to get outside, to dig the garden knowing that not only is the exercise healthy and good for me, but the ground is releasing this microbe, which is helping me to feel good on the inside too. This is powerful information to have, to use to improve the way we feel and to combat those days when we really don’t feel good at all. Therefore, this information has given me more power to fight this illness, to combat those bad days and to look forward to the future with a fabulous garden too. Really enjoyed reading this. 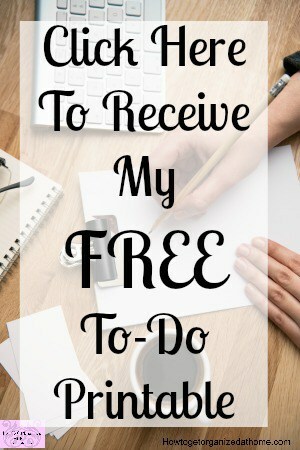 I pinned and shared. I know my Little Man (who suffers) benefits from planting and watching things grow in the spring and summer, and he struggles the most in deep winter. Blessings from “Espressos of Faith”! There is also a technique called grounding where you put your feet directly on top of the soil for 15 minutes a day. It’s suppose to help clear out your chakras and help eliminate all the EMF’s we are exposed to daily. How about eating soil, just a little bit ? Not something I would recommend! I am still taking them, I did stop once but that was with help from a counsellor! Not something you should do on your own, talk to your doctor and see what they advise!